I’m always on the lookout for new healthy, yummy, and portable dishes to bring to work for lunch. This bright and fragrant spiced lentil soup is full of protein and iron, and it’s sure to hold you over until you get home for dinner! And the best part is, dried lentils are so much faster and easier to cook with than many of their fellow legumes, which require soaking overnight. Lentils only cook 20-30 minutes until they’re tender and ready to eat! 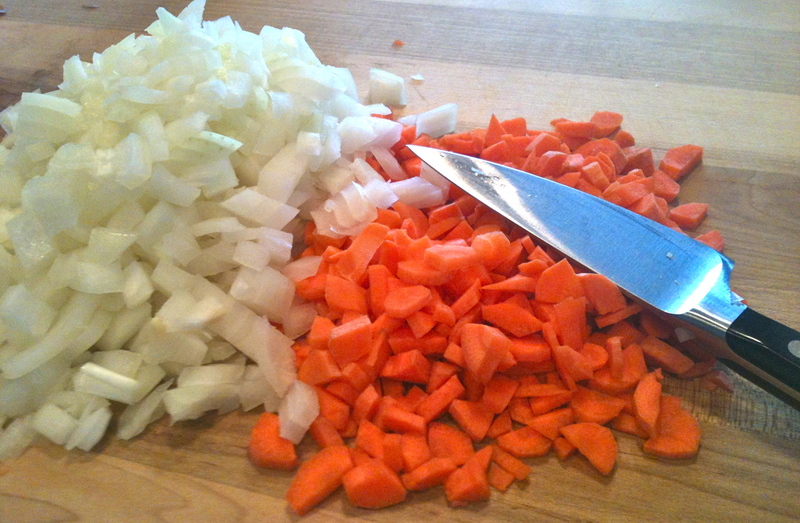 In a dutch oven or large soup pot, saute the carrot and onion in olive oil until soft. Add garlic and cook another minute or two. Add the washed lentils and water or stock. 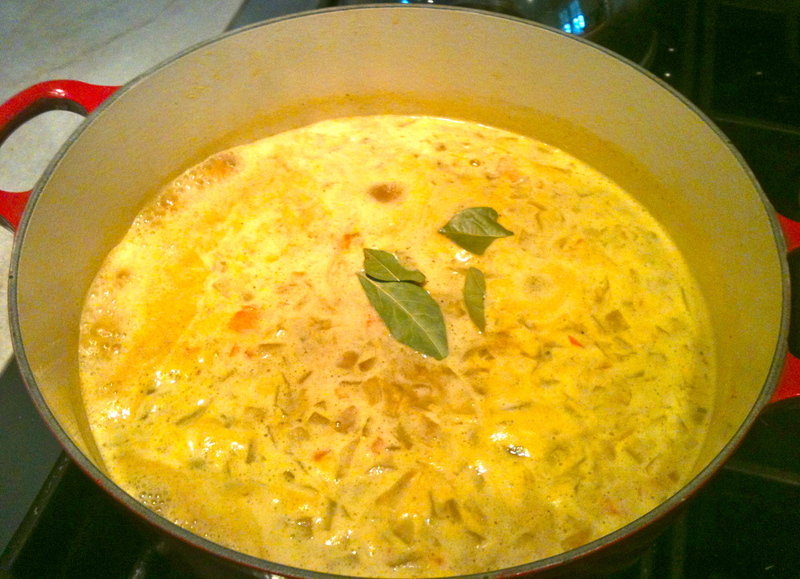 Then add the cumin, turmeric, coriander, ginger, bay leaves, and salt and pepper. 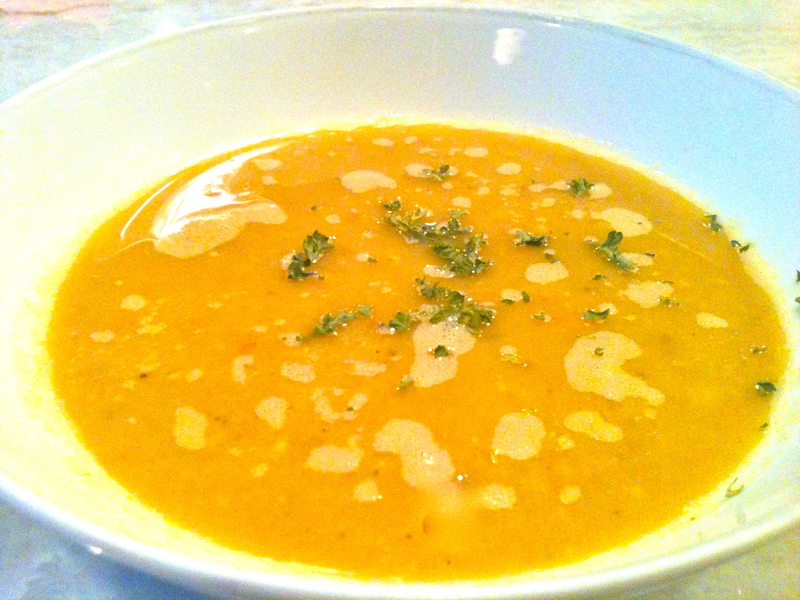 Bring to a boil, then reduce to a simmer and cook 20 – 30 minutes, stirring occasionally, until lentils are tender. Remove from heat. Discard bay leaves and puree in batches. Garnish with parsley and serve with crusty brown bread and butter. Next Apple Cinnamon Coffee Cake. P.S. the site looks awesome!!! !